A husband and wife team from Kent are being investigated after a raid on their home uncovered a whole host of fake videogame paraphernalia. 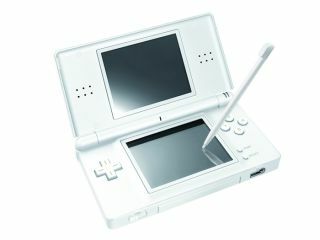 Uncovered in the haul were 40 counterfeit Nintendo DS consoles, the first ever found in the UK. Alongside the consoles were hundreds of dodgy games – and we mean 'dodgy' as in fake, not as in Iron Man: The Videogame. The couple's wrongdoings were uncovered after they tried to sell the fakes on eBay. A test purchase by investigators proved the consoles were counterfeit. This was no small-time scam either: the couple's earnings in December alone from selling their unique products are said to be around £50,000. Speaking about the raid, Michael Rawlinson, Managing Director of ELSPA, said: "The replication of video games software and hardware is illegal and has a negative impact on both local and national businesses. "ELSPA would like to thank the thorough and professional investigation by Bromley Trading Standards department and local Police whose work with our investigators has stopped the illegal activities of yet another internet pirate."